Neyveli, the south Indian town located in the Cuddalore district of TamilNadu is famous for Power generation and Lignite. As it is the Home of Neyveli Lignite Corporation, a leading public sector enterprise, Neyveli stands as the focal point in building India's energy bridge for the 21st century. Neyveli has an area of about 54sq.km., which includes Neyveli Township and the temporary colonies such as Mandarakuppam, Thedirkuppam, Thandavankuppam and Block-21. 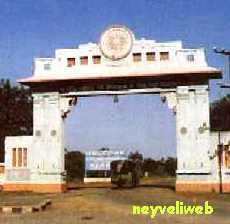 Neyveli Township has about 32 blocks. Neyveli has a population of about Three Lakhs, Which includes mostly the offspring's and siblings of the NLC employees. NLC has about 25,000 employees. Neyveli Township offers the ambience of an ideal living environment. Measures are taken by NLC to promote health through public sanitation and other social machinery. Housing: Neyveli has a well-planned and constructed town with excellent infrastructure and civic facilities. NLC’s houses about 20,700 self contained, well-designed houses for its employees with provision for electricity and water supply. The houses were allotted by the NLC according to the employee’s grade and year of service. Various innovative measures are taken to carry out the maintenance at low cost for these facilities. Health care: The success record of NLC general hospital over four decades is mainly based on the attention given to the health of its employees, their family members and the general public by its well equipped and maintained 369 bed modern general hospital and 5 peripheral dispensaries located in different parts of Neyveli Complex. Medical treatment is offered to over 3 lakhs population in and around Neyveli. The hospitals and dispensaries provide medical treatments on allopathic, ayurvedic, all specialities and occupational health services. NLC is also patronizing Neyveli Health Promotion and Social Welfare Society (NHPSWS). The society offers services for the benefit of physically handicapped, widows, and destitute within a large ambit of Neyveli by providing training and arranging for job opportunities. SPORTS: The Sports Control Board constituted by NLC is taking care of training, development of sports infrastructure and other needs of the sports personnel. The Board conducts various national and state level competitions and tournaments. A giant stadium with all-round greenery, basketball, volleyball and badminton courts, hockey ground, swimming pool, and golf course are some of the infrastructure facilities available for the sports personnel, employee and general public of Neyveli. Library: Neyveli is a town with 100% literacy. So the library in this town should be excellent and so it is. Apart from the main library, the mobile section, technical section and children section are the other major areas in the Library. 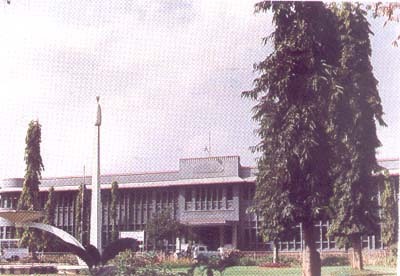 The main library has got about 65,173* books under various titles and about 57* journals. The library is located in the heart of the township with a silent atmosphere, which is necessary for a good library. Both members and non-members are allowed with members of about 15,000*. The children section has about 5,505* carefully collected books and 13* journals. The technical section for the engineers and emerging professionals of Neyveli has about 4,146* books. The technical section has been expanded regularly to compensate the techno advantage of the today’s world. The Mobile section with about 5,486* books stretches the library to far off places of Neyveli. Apart from the libraries, Neyveli has reading rooms and social welfare centers in each block. These centers has newspapers and magazines, physical gyms, recreation TV's to cater the need. Transport: The town administration runs subsided transport facilities for its employees. The bus section of NLC runs buses for the welfare of its people. Separate buses for schoolchildren, apart from the regular bus services.